Many queer men know what PrEP is — pre-exposure prophylaxis, a medication that is highly effective at preventing HIV — but they don’t all know how to get it. 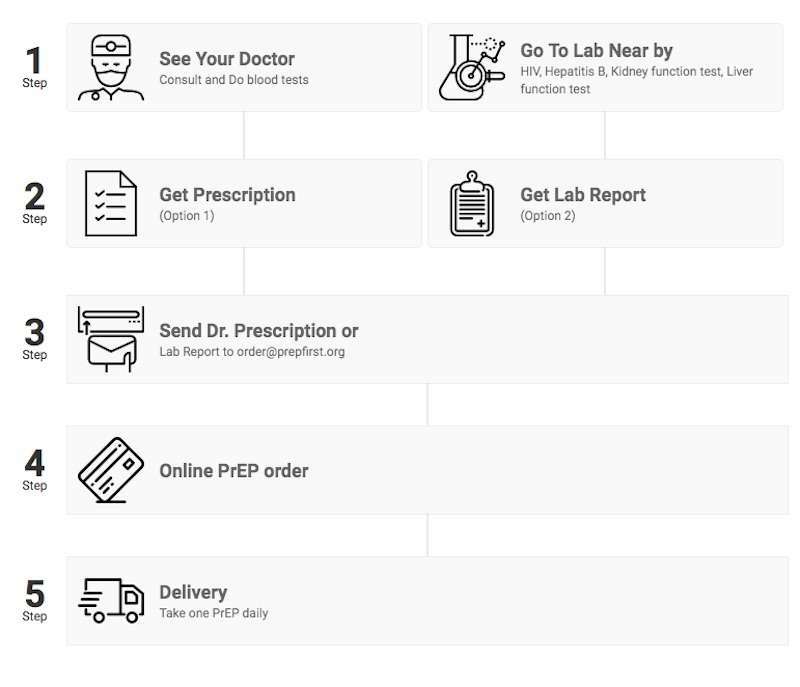 Thankfully there’s a new website called PrEP First (http://prepfirst.org/) that allows anyone in the world to get PrEP dropped on their doorstep, and this PrEP delivery service has clear, easy-to-follow, step-by-step instructions. The website — available in English, French, Portuguese and Chinese — lays out the steps. Basically you consult with your doctor, who will run a blood test and issue you a prescription for PrEP. You can also get a HIV/Hepatitis blood screening and a kidney-function test at your local sexual health clinic. These tests are to ensure that you’re HIV-negative and that PReP won’t negatively affect you. After that, just email your doctor’s prescription or the local clinic’s lab report to PrEP First. They’ll prepare your online payment. You can pay through Paypal (using all major credit cards), Alipay or direct bank transfer. After that, you’ll receive your home PrEP delivery within seven to 15 days. It’s safe, secure, discreet and guaranteed. You can order up to a three-month supply of three different types of PrEP: Truvada, manufactured by Gilead in the U.S. (for $395); Ricovir-EM, manufactured by Mylan in India (for $169); and Ricovir-EM, manufactured in Thailand (for $115). If you’ve never heard of those last two, they’re generic versions of PrEP. Dr. Stephane Ku, a sexual health doctor in Taiwan, says the generic versions have nearly identical ingredients and production methods as Truvada. PrEp First is run by the Love Foundation and operated through the Love Clinic of Thailand. The Love Foundation’s mission is focused on male-on-male sexual health through awareness, education and counseling. Would you use a PrEP delivery service? Sound off in the comments.